A bit about myself: I graduated from DBS in 2017, and I am currently a sophomore concentrating in Economics and potentially Computer Science-Economics at Brown University. 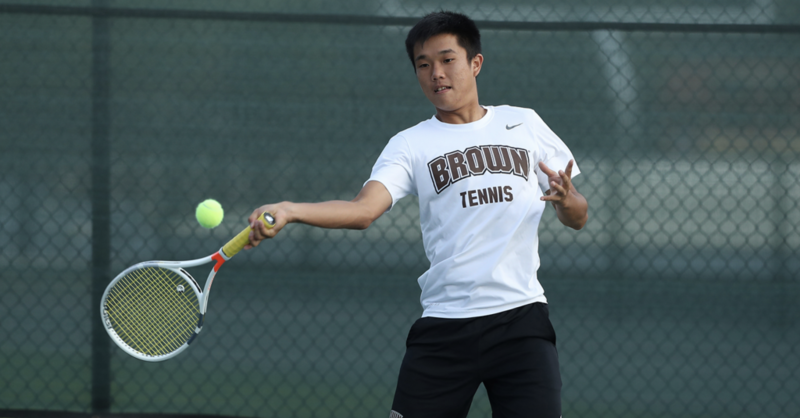 Aside from being a student here at Brown, I am also part of the Varsity Men’s Tennis Team after having competed on the DBS Tennis Team during my high school years. The IB program draws many parallels to that of a university curriculum and the IB program at DBS has helped prepare me for university life in many ways. Firstly, they both adopt an assignment or project-based curriculum as opposed to a more traditional exam-oriented one. The weighting of assignments in college is very similar to that of the IB program, where a larger emphasis is put on different assignments throughout the year and the final exam and midterms only account for about 30-40% of your grade. I’ve learnt to realize the importance of all the different assignments throughout the semester, such as problem sets, labs and sections and how they play a great role in a course. This is similar to the many components comprised in a subject in the IB, such as the Internal Assessments (IA), written tasks, and IOCs. Secondly, the IB’s emphasis on critical thinking and the ability to concisely portray and present an idea in an academic setting has made tackling university essays a lot easier. A lot of universities have a mandatory writing component that must be fulfilled and having the chance to familiarize yourself with different academic writing types, whether it be written tasks or the Extended Essay, help a long way. University life can be very intimidating, but rest assured, the IB program will prepare you very well and serve as an important stepping stone for the next chapter of your life.